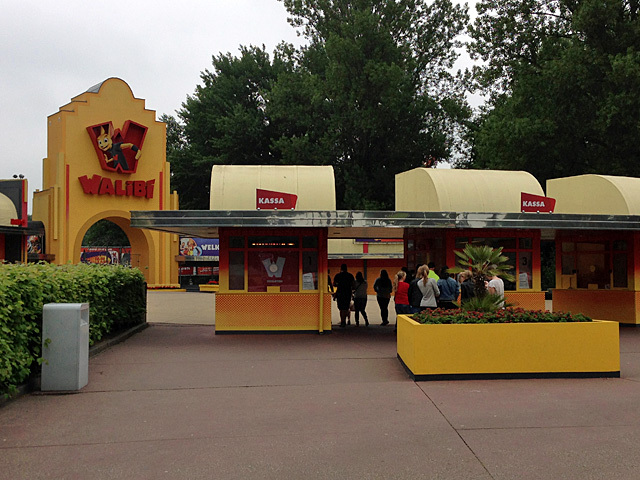 Today we are on a secret mission in Walibi which I can tell you all about later. In any case there was plenty of time to visit the park and that has been quite a few years ago. 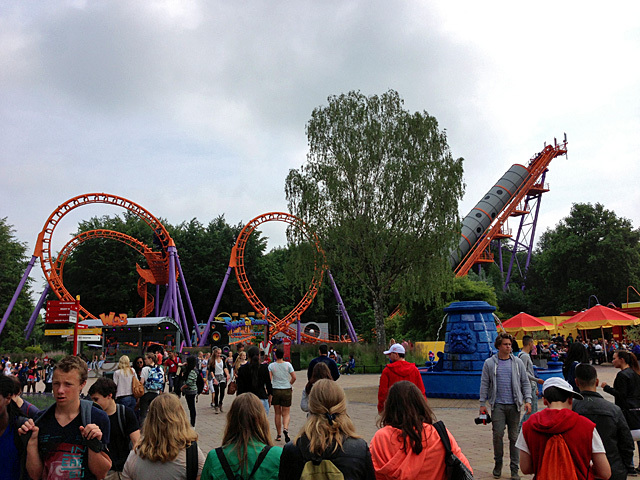 In the meantime the park turned another direction with completely new characters and new names for familiar rides. The park proalbly wants to expand their target audience to (families with) somewhat younger children. 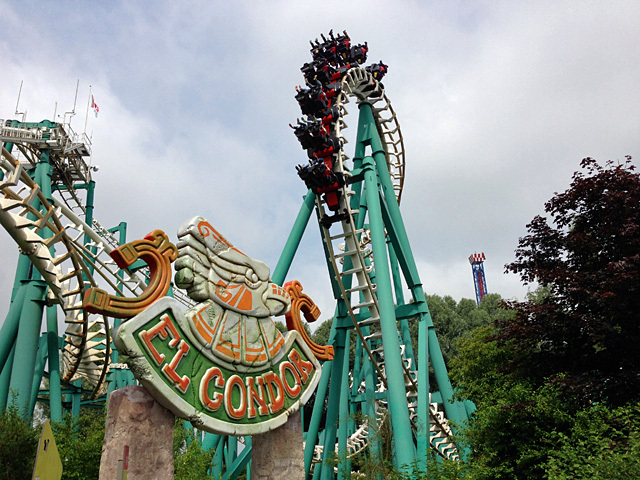 Unfortunately, today turns out to be a rather crowded day which results in very long queues of over an hour at the usual places: El Condor Condor, Speed of Sound and Goliath. After a ride on El Rio Grande we decided to just make some picture of the rethemed rides. 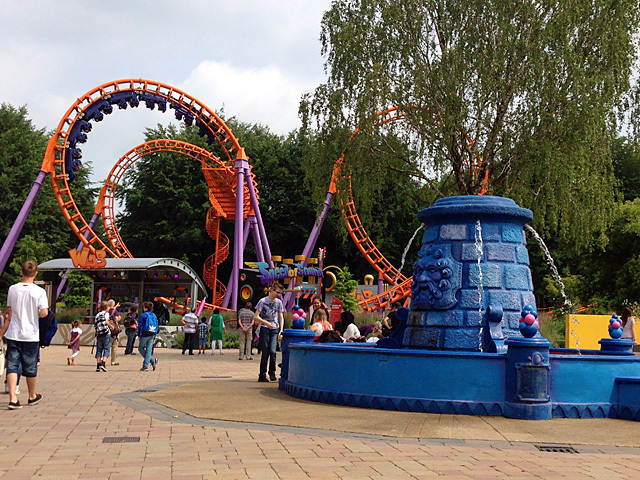 After the main season we'll probably come back to take a look at the rest of the park. The entrance has been renewed as well. 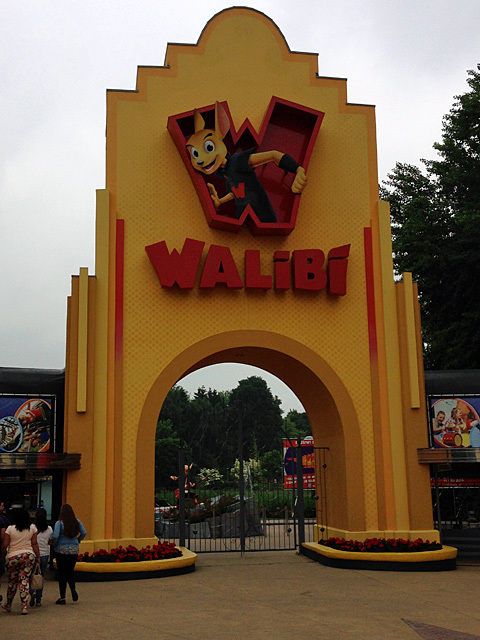 Fresh colours and a new logo with a more modern tough-looking Walibi. At least it looks bright and fresh again. 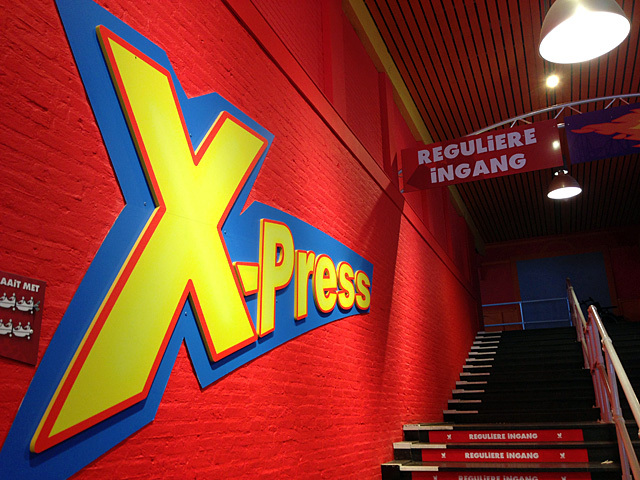 Also the entrance to Xpress Xpress: Platform 13 has been altered. There were many people here too. 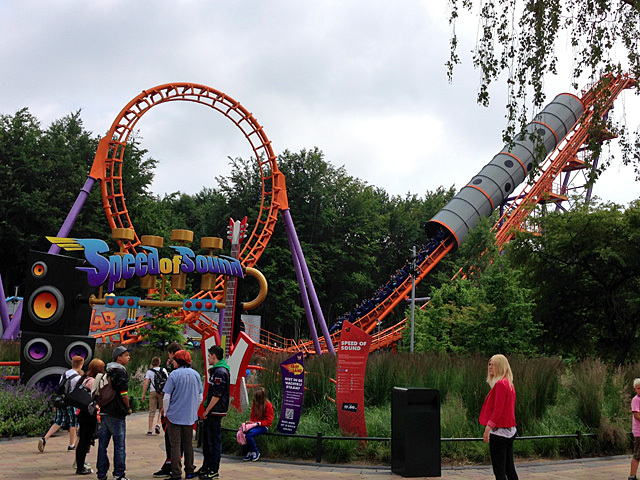 I still kinda miss the original Superman theming. 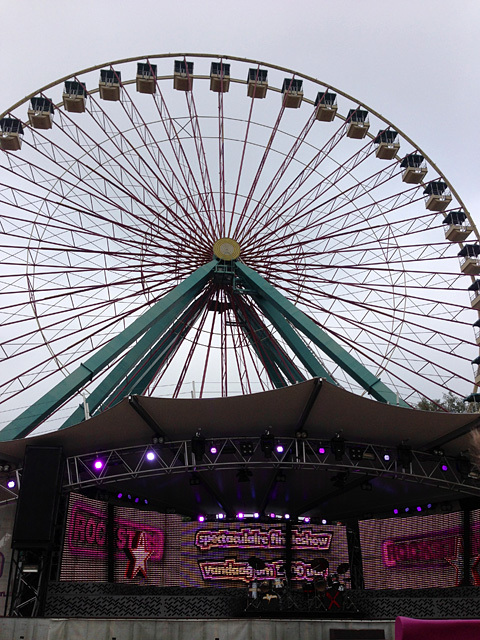 In front of the ferris wheel is now a huge permanent stage. Many of the other shows have dissapeared. 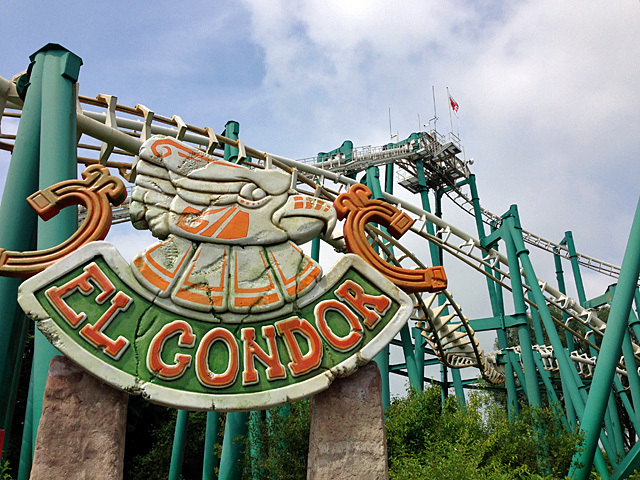 El Condor has gotten a new logo as well. 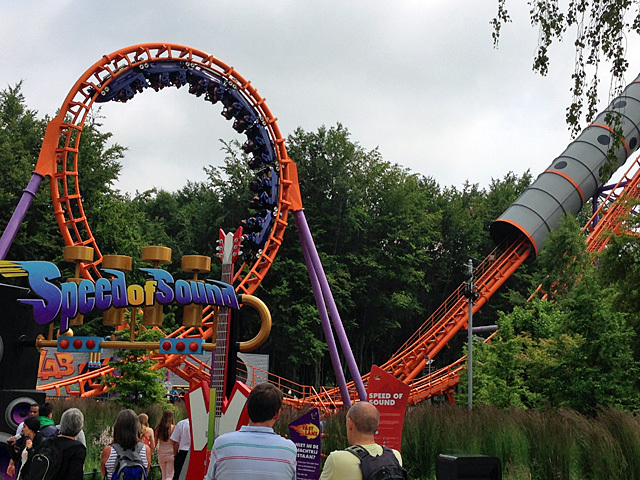 Speed of Sound is nowadays orange and purple and has been given a major overhaul in theming. This area has improved dramatically. Even the fountain has been repainted in a new colour.